Rahal FUT Hair Transplant Review: "A New Man"
You are here: Home / Hair Loss Blog / Hair Loss News / "My Hair Restoration Journey Has Made Me Feel Like an Entirely New Man." Agenteye, aka Mike, is an actual Rahal patient. 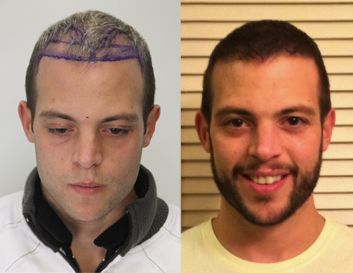 He provided his FUT hair transplant review with the members of the Hair Transplant Network forums, a free, 3rd party resource for hair loss sufferers. This story is his, and all images you see here were supplied by Agenteye in his forum threads. Mike came to us as, in his words, “a solid Norwood 4.” He was 31, approaching 32, and fed up with his lack of hair… and his lack of options. The only choice he felt he could exercise were hair styles and hair coloring to hide his male pattern baldness. The options were limited by his hair, not his desire. And what he desired was change. Mike did his research and made a shortlist of doctors he wanted to visit. His big concern was getting it done; approaching 32, he felt he’d waited long enough. Dr. Rahal was at the top of his list, but another doctor was available sooner. Initially, he booked with the other doctor, because when he decided he’d waited long enough, he’d really waited long enough. But when Chad, Mike’s senior counselor from Rahal, called to tell him Dr. Rahal had opened his books and had an earlier appointment, “I decided to cancel my procedure with the other clinic, and book my flight to Ottawa,” Mike said. 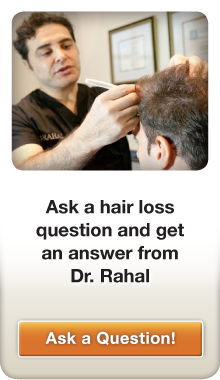 Miked started his hair restoration journey when he checked into Dr. Rahal’s guesthouse at Brookline. His take on the sense of community that imparted? “YOU SHARE THE HOUSE WITH OTHERS WHO JUST WENT THROUGH WHAT YOU DID. It was invaluable (at least for me) to have that kind of support after a surgical procedure, and the guys that were there while I stayed there were really great!” Mike said. All told, Mike received 4737 grafts, a little more than he expected. 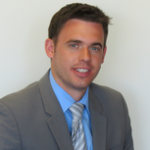 The next few months, Mike kept the forums updated on his hair transplant progress under the Agenteye username. 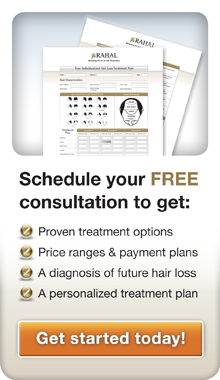 Regular updates at 5, 7, 8, 9, 10, 11, and 12 months out from the procedure. Over that same time, we were also kept up-to-date with his personal development and the part that his hair transplant played in that, such as his enrollment in nursing school, and the 4.0 GPA he achieved. “Looks great buddy. I still give it 10/10,” Slickers said. “Looking good! Looks totally natural,” rev333 commented. “agent you look great!” echoed Number47. “Congrats!! Happy for you and I look forward to your continued posts. They are very uplifting to many on here,” added Cant decide, another Rahal patient. If you go to the forums looking for help, you’ll find a user named Agenteye. And once you see the sense of community that Rahal cultivates, you’ll know him as your friend, Mike.